Sophie, 27, recently graduated Sciences Po, Paris in international relations and conflict resolution More…now working for a Beijing firm developing US/China projects. Alejandra,14, about to enter high school in San Miguel de Allende, Mexico. At 19 yo hitch-hiked six months all over Mexico (on four dollars). At 20 yo I worked for the forestry service in Wyoming in the Green Lake area of the Wind River Mountains and then wrangled sixty half broken horses across the Bridger Wilderness from Green Lake to Jenny Lake. Came back to the bay area and ran around with Kesey crowd and Neil Cassidy for quite awhile then hitch-hiked to the east coast and spent a year in New York as friend and helper to Allen Ginsberg. I hitch-hiked from Luxembourg to India in 1967 (then hitch-hiked back to Europe in 1973). I lived and traveled extensively for many years in Asia Europe, North Africa and Mexico. In India I worked with Frere des Homme (akin to the French peace corps) doing drought relief for one year in Bihar and studied Theravada Buddhism in Bodh Gaya and Tibetan Buddhism in Kulu Manali, India also spent several delightful winters in Goa. Lived and traveled for four years in Thailand and southeast Asia including one year in Bali. Went trekking in the Himalayas late 60s and had a pub in Kathmandu early 70s getting away as often as possible to trek the Nepalese Himalayas. Around 1970, I sailed a Chinese Junk around the South China Sea then crossed the Indian Ocean from Bali to the Seychelles on a 40 foot Choi Lee, later sailed around north Africa in several different sail boats and spent some time as a "guest" of the local government in Safi, Morocco. I lived in Mexico for fifteen years operating a tour company in San Miguel de Allende, Mexico for ten of those years. In the late 70s and 80s remodeled homes in the Bay Area then lived and worked as editor in Bolinas. Three years ago I married (for the first time) and am happily joined at the hip with Jean Wentworth (Bush) formerly of Berkeley, Concord, Mass. and San Francisco. I have a 28 yo daughter, Sophie Yeshi Guerin (mom's a Tibetan nun and close friend) who worked with the American embassy in Paris and just graduated from Science Politique, Paris in international relations and conflict resolution. She's now off to Beijing to live and work and a second daughter, Alejandra 14 yo, about to enter high school in San Miguel de Allende, Mexico. Jean and I have homes in Mill Valley, CA and San Miguel de Allende, MX and try to get off to our Echo Lake cabin near the entrance to the Desolation Wilderness in the high Sierras, as often as possible. Recently we returned from a fascinating trip sailing the south Turkish coast visiting ancient archaeological sites. In late May we returned from visiting my daughter in Paris where we caught the premier of "Midnight in Paris". Hopefully soon...off to Bali! Bored with high school, I dropped out after my junior year (1960) and joined the Air Force becoming a military policeman (prison guard) on Guam in the Marianas Island. Paul Guerin added a comment on Robert Boaz's Profile. Paul Guerin has a birthday today. New comment added. Paul Guerin posted a message. Happy Birthday Charles....and greetings to your lovely lady as well! Paul Guerin added a comment on his Profile. Paul Guerin posted a message. New comment added. Happy Birthday Charlie...BTW you are quite photogeniic for a man of such advanced years! Feliz Cumpleaños from Galveston Gary! 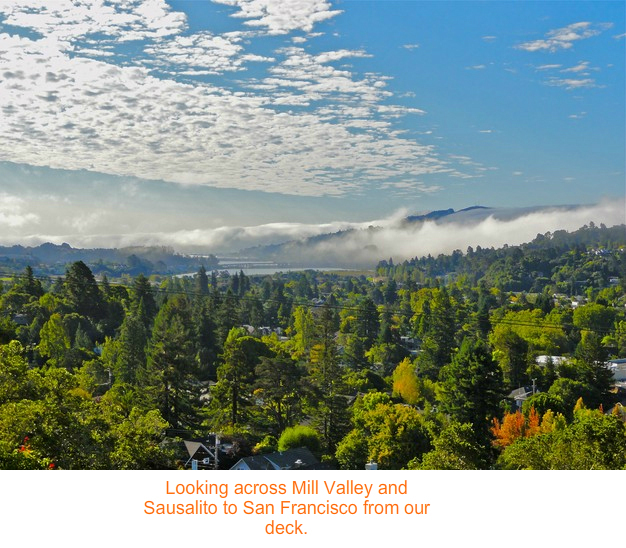 Happy Birthday from Mill Valley! Have the best birthdayof your life George! Happy birthday to the best preserved member of class of 61 ! AHA...so you’re having another birthday...MAN..you are really old! When are you coming out here and spending a few days with Jean and me? We have an extra walker in the attic....HAPPY BIRTHDAY! Have a great Birthday Paul, Jean and I hope to see you again soon! Happy birthday Steve and keep on keepin on! Have a great birthday Doug and come by Mill Valley! 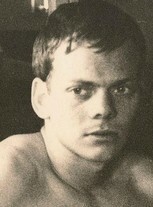 One of the few photos I could find of me from the early 60s. 223 lb. 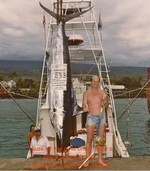 pacific blue marlin caught off Kailuna Kona, Hawaii..long ago and far away. Jean and I share a hookah in Istanbul. Barcelona clown (the clown is on the right). Jean kicking back at our Echo Lake family cabin (near the entrance to the Desolation Wilderness).